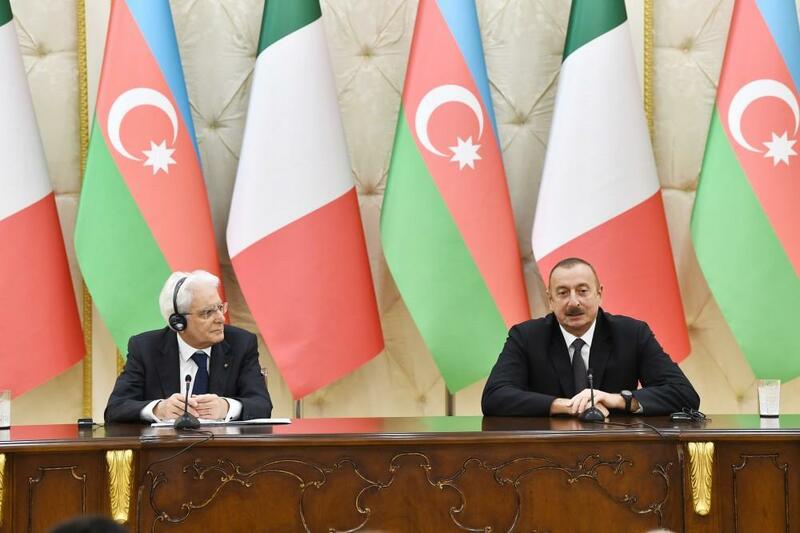 Italy, as an OSCE chair country, can play an active role in the settlement of the Armenia-Azerbaijan Nagorno-Karabakh conflict, Azerbaijani President Ilham Aliyev said. He was making a joint press statement with Italian President Sergio Mattarella on July 18. President Ilham Aliyev noted that Nagorno-Karabakh and seven adjacent districts, recognized by the international community as historical lands of Azerbaijan, have been under occupation of Armenia for many years.